Doctors and other healthcare professionals use anesthesia to desensitize patients to pain or make them unaware of it while they perform surgery or administer some other medical treatment. Medical malpractices cases related to anesthesia fall into several categories. For example, if it is inadvisable to administer an anesthetic to a patient and the anesthesiologist does so anyway, the patient may suffer a serious injury or die because of this. In addition, administering an incorrect dosage of anesthesia, failing to monitor his/her vital signs during a medical procedure, failing to review a patient’s medical history, or using defective equipment when administering anesthesia may all be grounds for a malpractice case. 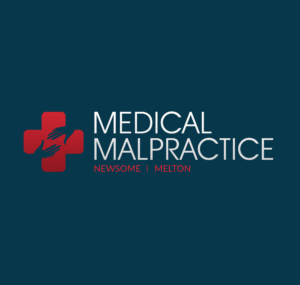 Malpractice may also be an issue in cases of improper intubation, or when the patient is not informed concerning correct preparation for surgery and aftercare. Also, in cases where anesthesia is used improperly, that may result in paralysis or other permanent injury, brain or nerve damage, heart attack, cerebral palsy, a collapsed lung, and even death. Malpractice can also occur before or after surgery. For example, if a patient is not monitored in the recovery room after being given general anesthesia, this could result in a lawsuit. Such legal action may involve not only the anesthesiologist, but the medical facility where treatment was given, and technical assistants, nurses and others may be charged in a lawsuit for medical malpractice. Be aware that if a medical malpractice case is related to using anesthesia, finding the evidence to prove the case can sometimes be difficult. This is often due to the fact that the patient is unaware of what is happening during the procedure and cannot be called upon as a witness. Also, medical records, which are generally used as evidence, may be incomplete, or even altered, and no medical record is produced during the procedure itself. People who plan on filing this type of lawsuit should always start by consulting with an experienced malpractice attorney who will analyze and evaluate their claim and determine the likelihood of succeeding in court as well, Along with that, any experienced attorney with this level of expertise and specialization has the ability to correlate their client’s injuries with the recoverable damages to which they are entitled. This means that when compensatory damages are available, clients will be compensated for their injuries, while the purpose of punitive damages is to punish the guilty party and prevent repetition of the malpractice. Remember that an experienced attorney can determine the way in which a physician’s action (or inaction) contributed to the injury’s severity, inform clients of their legal options, and handle the case in keeping with current legal standards.